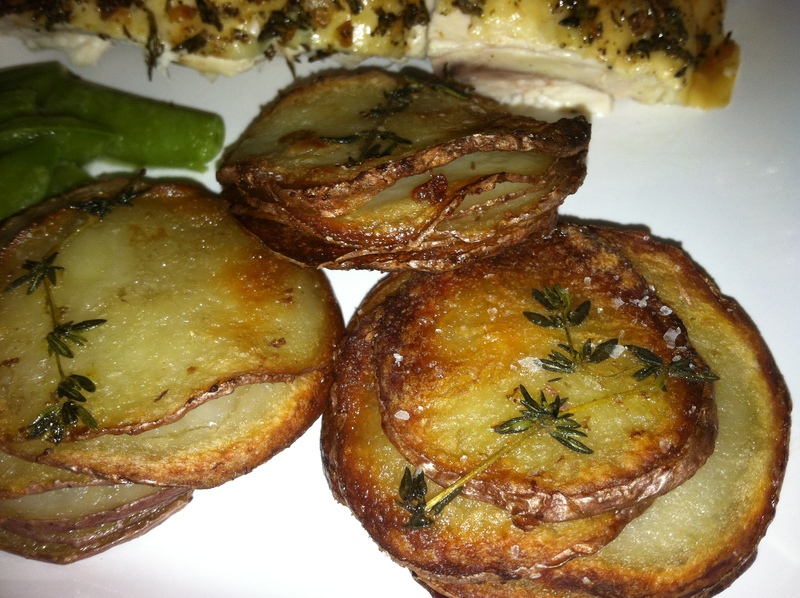 Now, do what your mama taught you and wash your potatoes well! 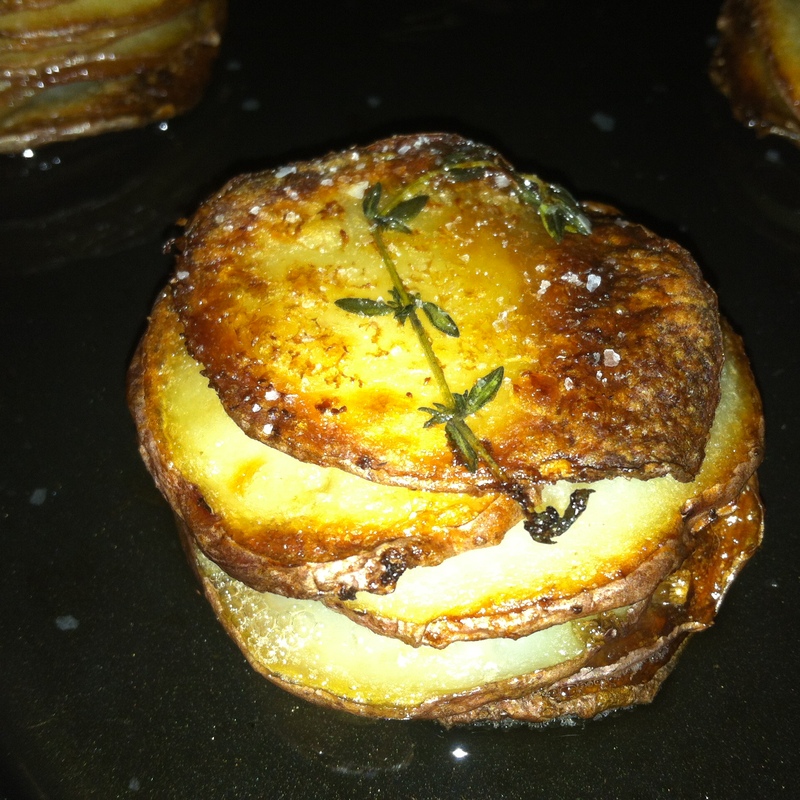 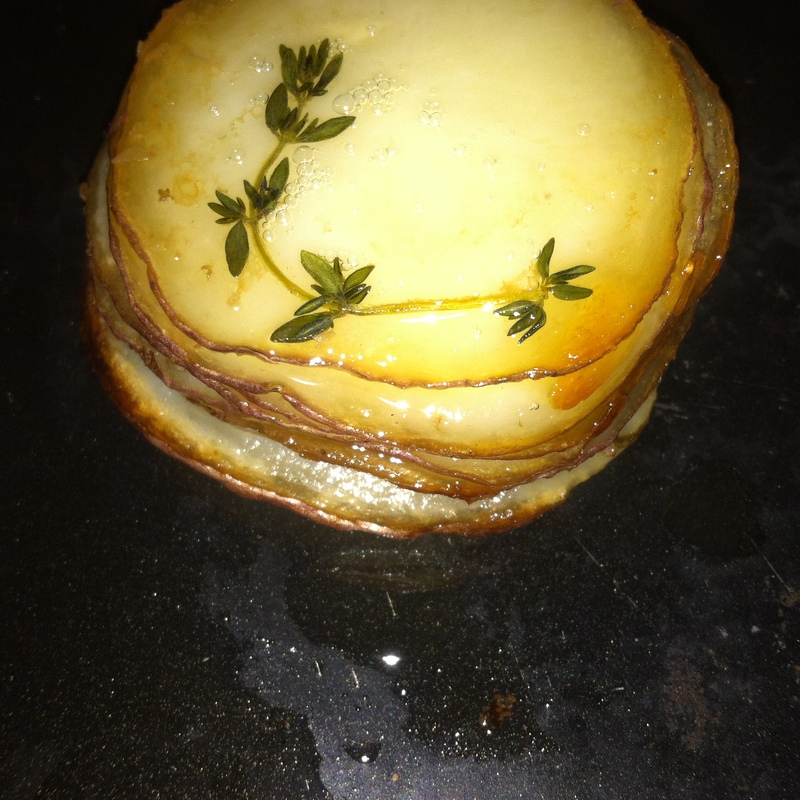 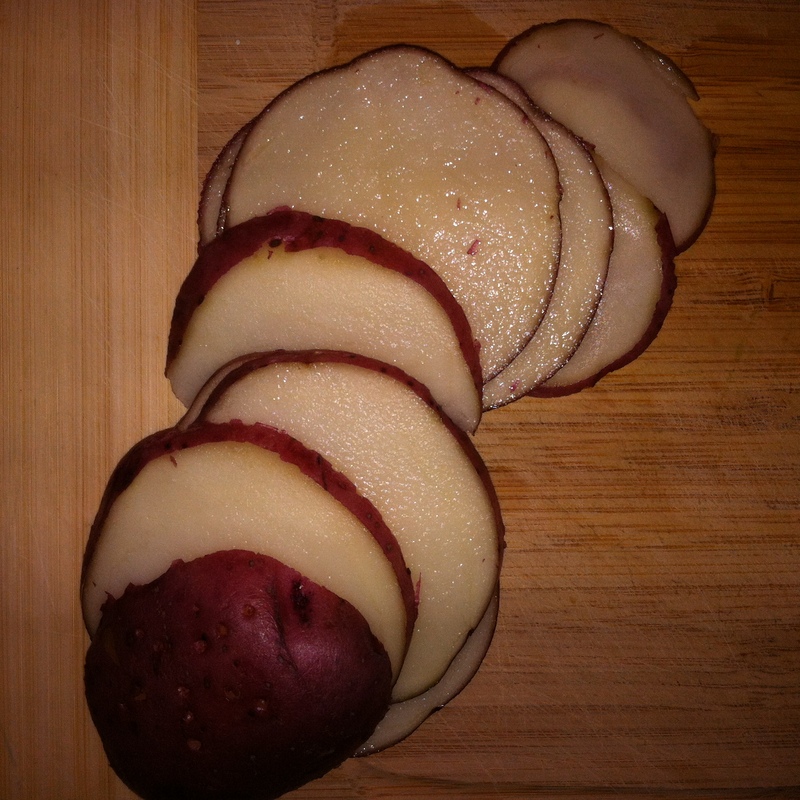 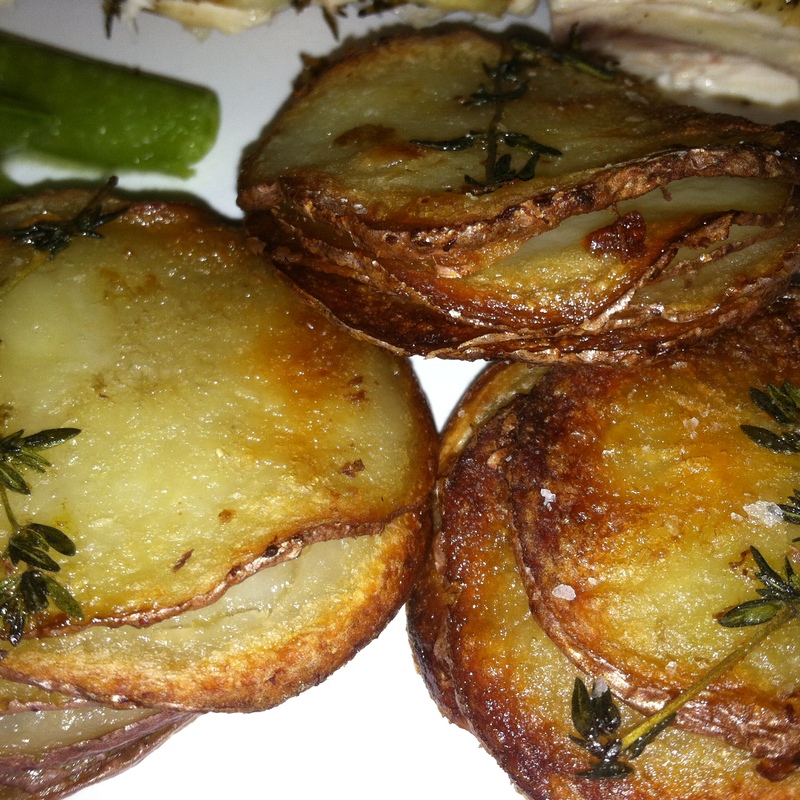 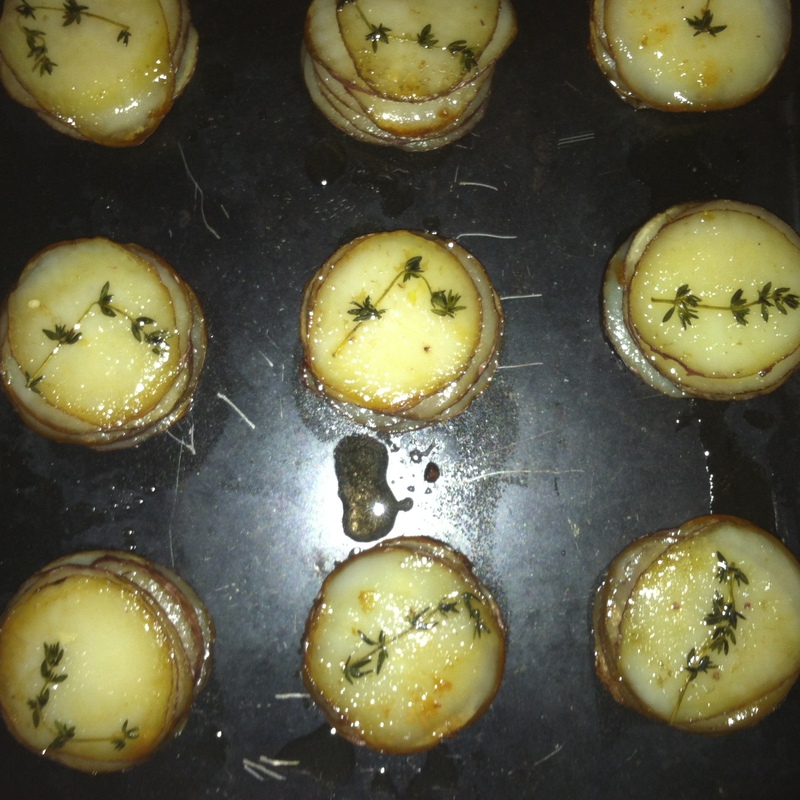 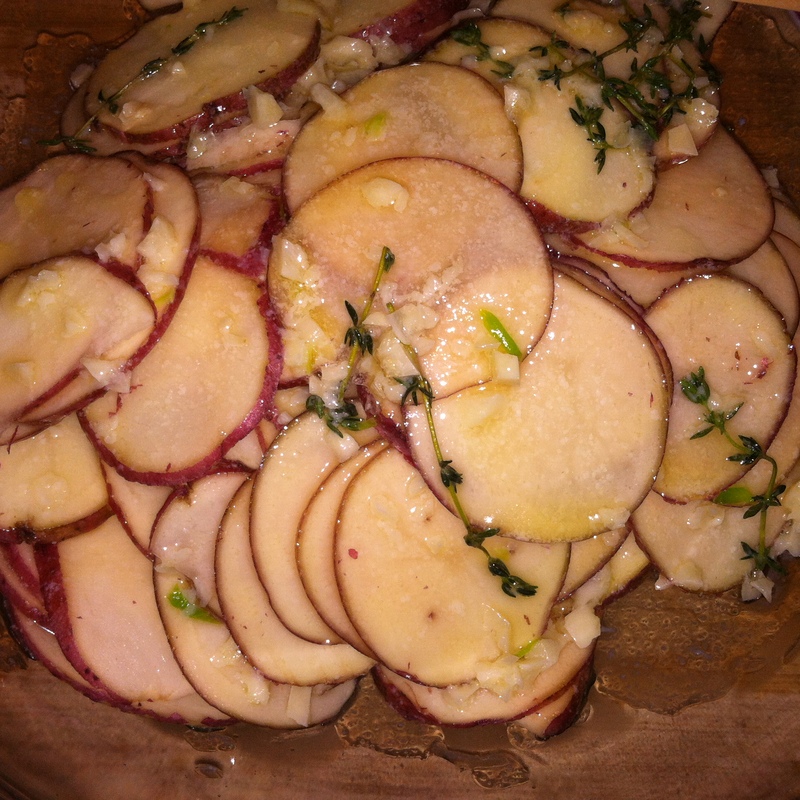 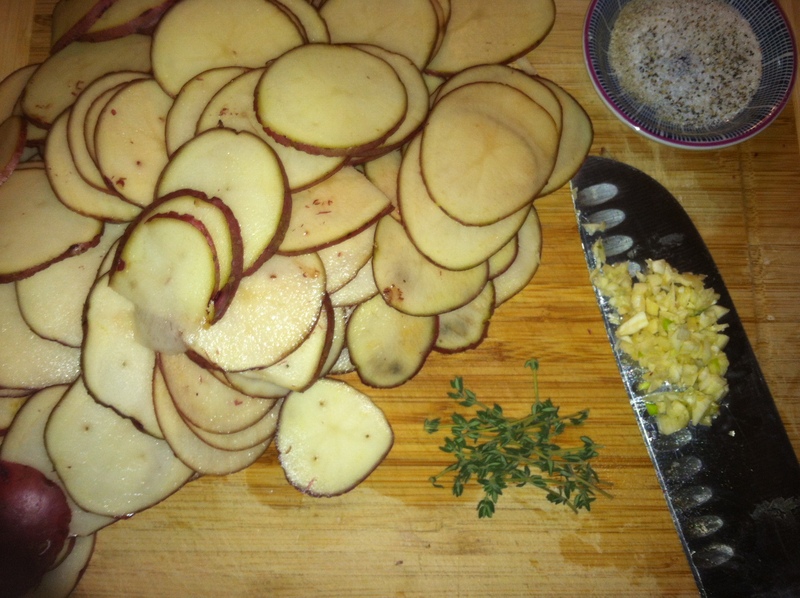 Using a mandolin, slice each potato crosswise into very thin rounds. 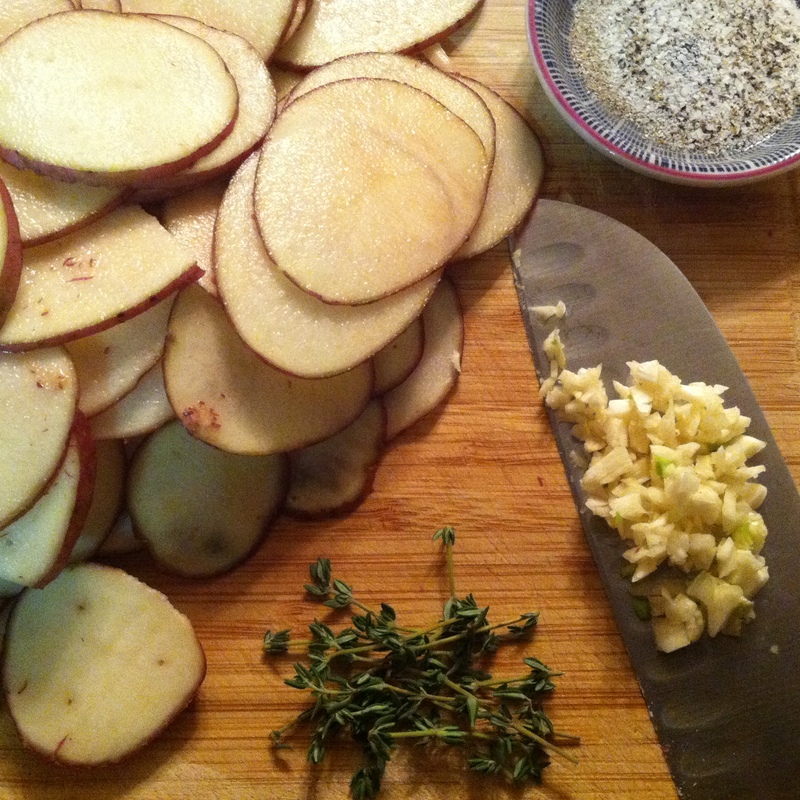 Chop your garlic and also pick out the nice tender sprigs of thyme. 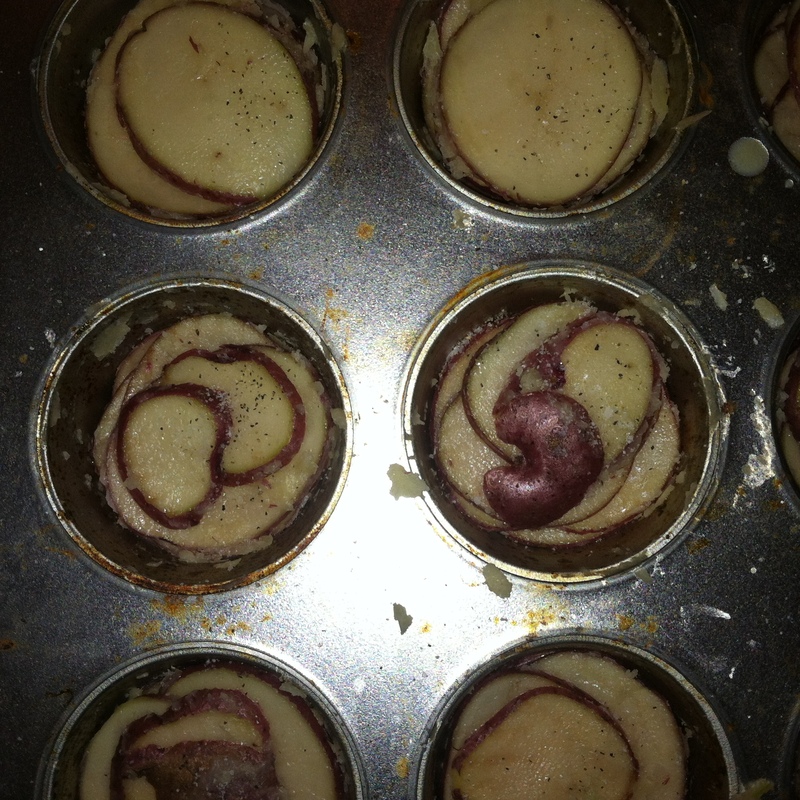 Melt your butter in a small sauce pan then brush your muffin tins with a good lather of butter also drizzle 1/2 teaspoon of butter into the bottom of each cup. 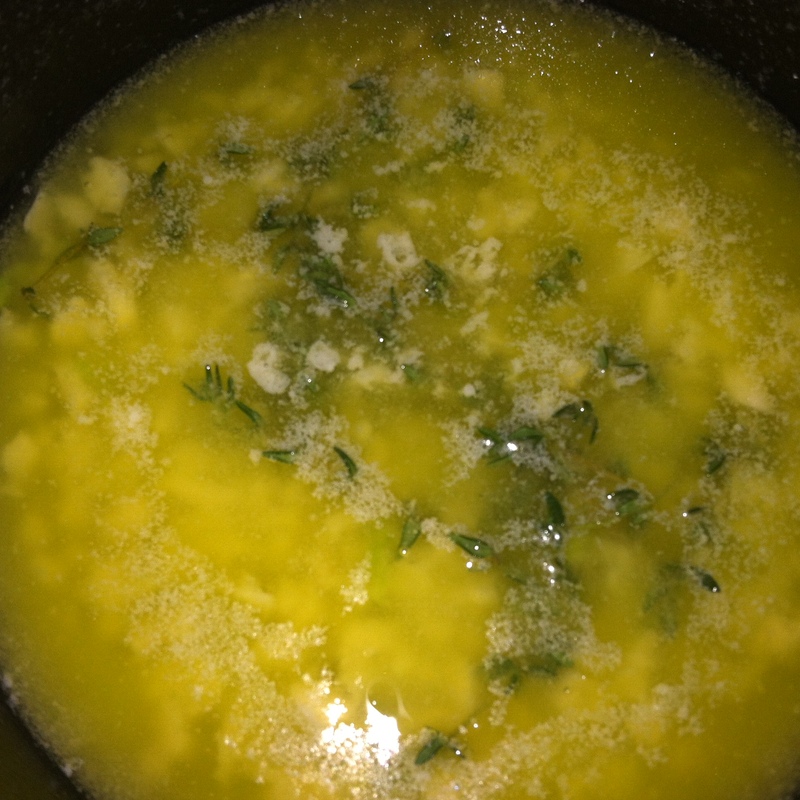 Add garlic and chopped thyme to the sauce pan and cook over medium low heat for 2 minutes or until fragrant. 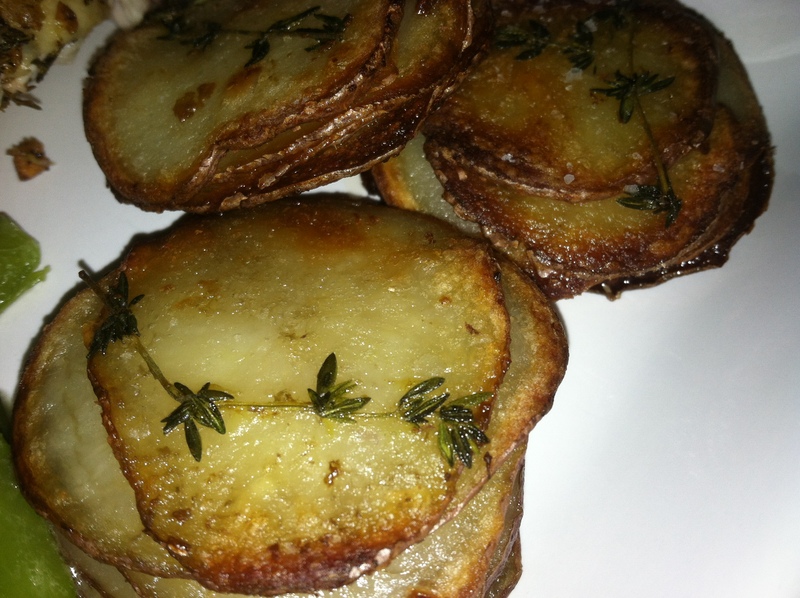 Drizzle all that majestic butter love all over your potato slices in a large bowl and toss well to coat. 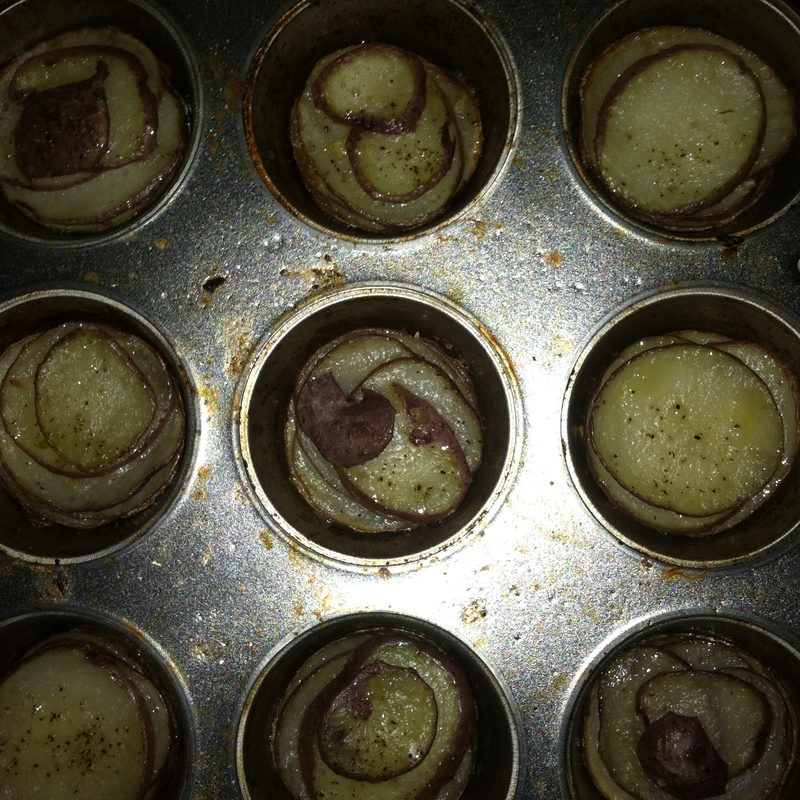 I didn’t take a picture of this part but place a small tender sprig of thyme into the bottom of each muffin tin then layer your potato slices lightly pressing down in the center slice to each to make compact. 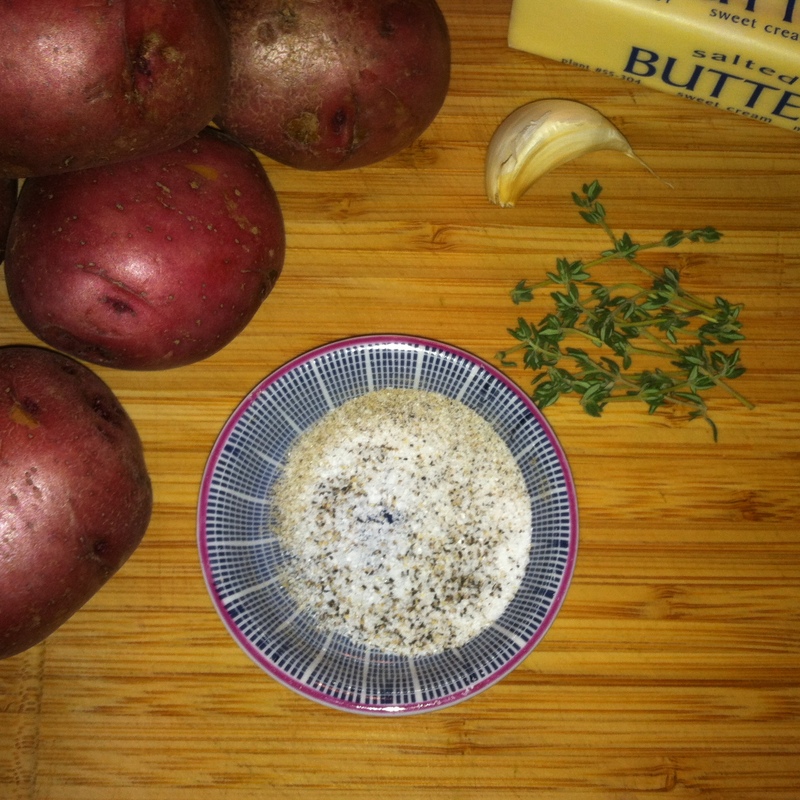 Drizzle any remaining butter and seasoning from the bowl over you potatoes. 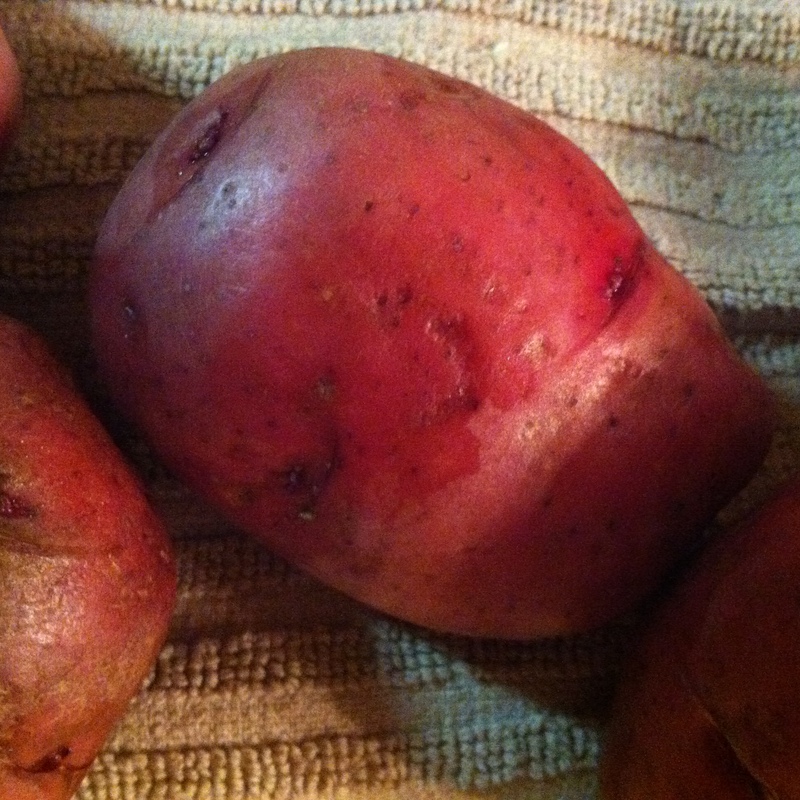 But were not done yet! 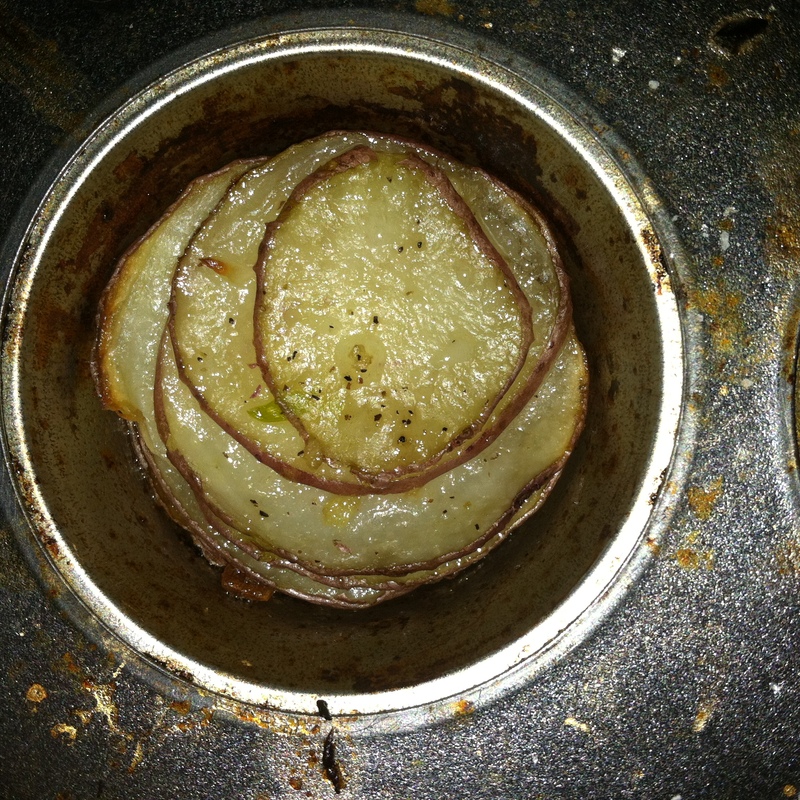 Carefully remove foil… Invert a rimmed baking sheet over pan. 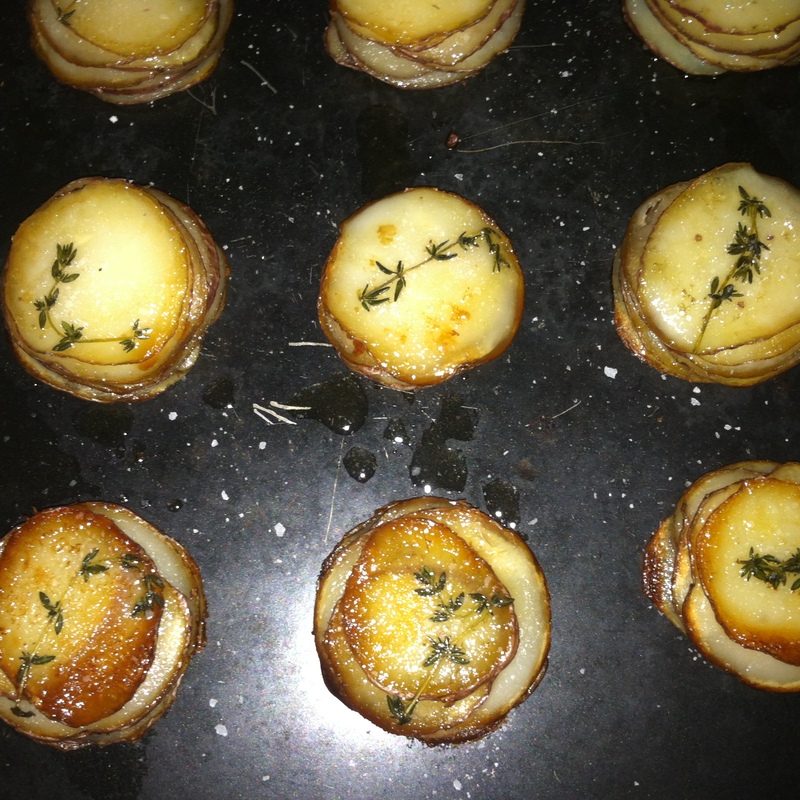 Turn, lightly tapping on counter, releasing potatoes onto sheet and rearrange any slices that may have fallen out. 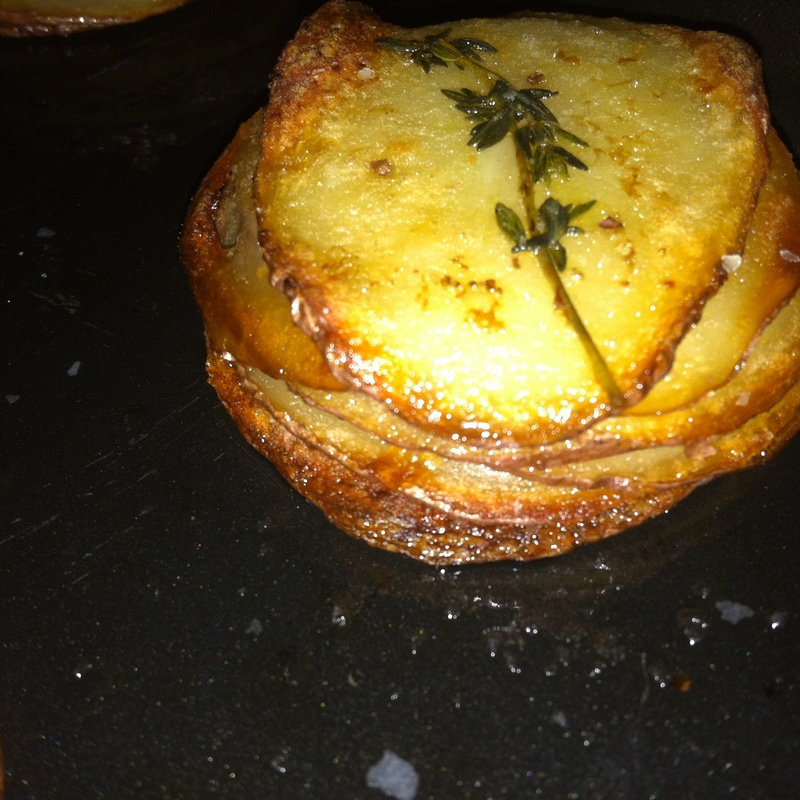 Increase heat to 425f and uncover cakes baking until bottoms and edges are golden and crispy for about 25-30 minutes. 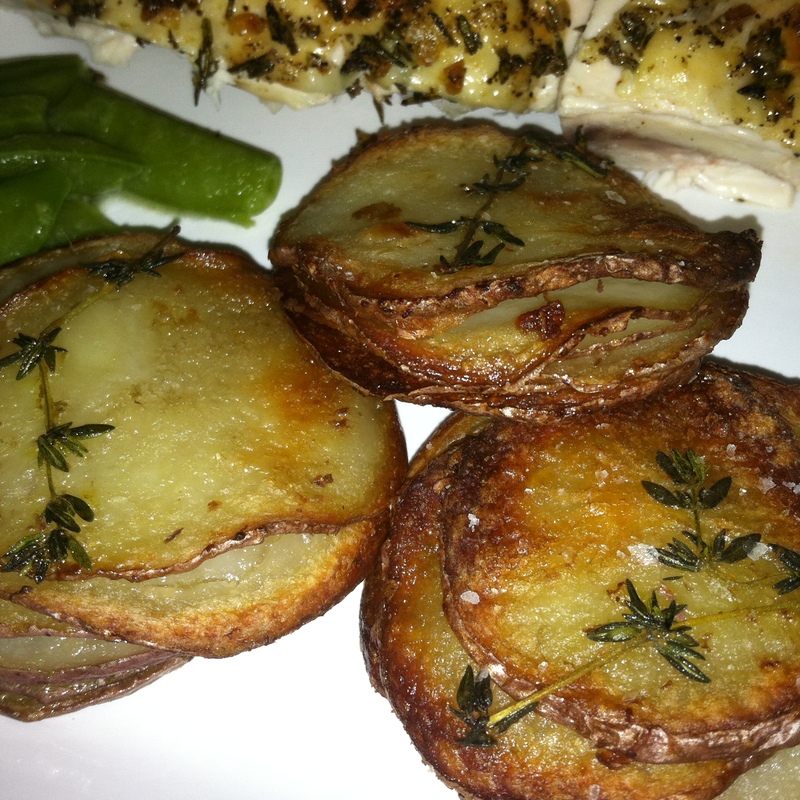 The pictures do not really do this dish justice, but you get the point!